At the hearing today after Adheeb's legal team filed suit claiming that the government was negligence in Adheeb's medical treatments, the state has said that doctors have not given a document for the former Vice President, Ahmed Adheeb, who is in prison, to seek medical treatment abroad. In response, Adheeb's lawyer said that the state is openly lying and both the Human Rights Commission of the Maldives (HRCM) and the Maldives Police Service are well aware of it. And requested that the court take action if it is proven at court that the state is lying. 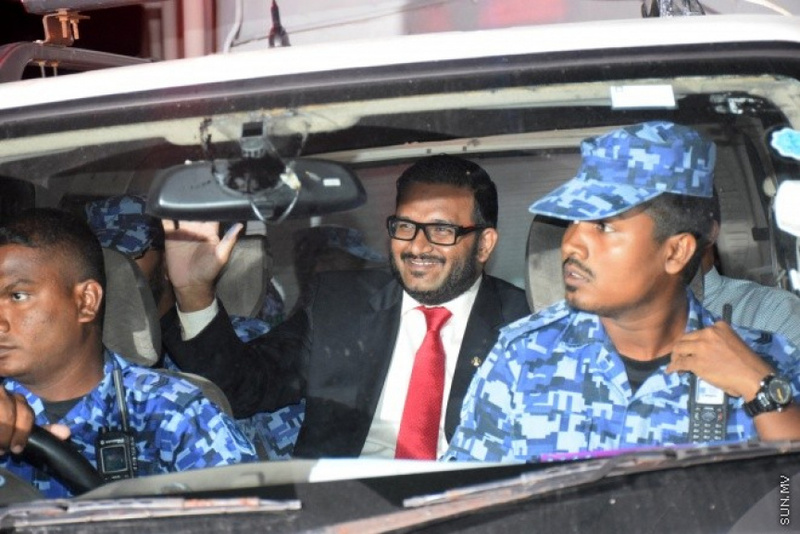 Adheeb's lawyer said that the state has been greatly negligent with Adheeb's medical treatments and most recently, a dermatologist was brought to check Adheeb's eyes. Today at court, the state said that there are procedures set to send convicts abroad fro medical treatment and part of it is submitting a request to the Medical Board of Indira Gandhi Memorail Hospital (IGMH) and Adheeb has not made a request. Responding to that, Adheeb's defence team said that the government has been openly trying to mislead the public and submitting request to IGMH board is something that has to be done by the government and the government has neglected that duty. Adheeb's family has raised concerns saying that he suffers from glaucoma along with many other serious health issues and the Correctional Service has been negligent in providing medical assistance.